You might not think you care about antenna TV. You might think that cord-cutting is a sham. After all, your friends who cut the cord went from paying $100 a month to the cable company to paying $120 a month with all the streaming services. You may not feel like there’s any way to save money. There is a great way to save money on live TV, and you can start right now. 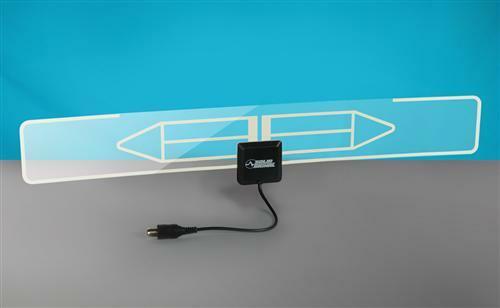 A TV antenna lets you get dozens of channels of live TV for free. The technology is built into every TV in your home and it can be added to mobile devices and PCs as well. Once you buy the hardware, you won’t pay another dime. Best of all, all the top-rated shows are available with an antenna. You won’t miss out. Choosing the right antenna is a risk. At Solid Signal we try to make it easy by giving you a free antenna recommendation service. Our technicians are experts at evaluating all the options and choosing the one that’s right for you. There’s another way though… simple trial and error. A lot of folks start with a fairly small antenna and see if it works for them. Like other things in life, it’s a gamble: if a cheap antenna works for you then you’ve saved money. If it doesn’t, you’ve wasted it. The key is to start with an antenna that’s well-built. People will go into a home store or drug store and pick up an antenna that makes miraculous claims. Or, they’ll choose an antenna from a brand they remember from their youths. Both of those usually end up being a waste of money. I’ve said it before, drugstore antennas just don’t work. It’s not that there’s something magical about CVS that makes good antennas go bad, it’s just the business model. These antennas are generally made very cheaply and then sold to an importer, who sells to a distributor, who sells to another distributor, who then sells to CVS who sells to you. At every step, someone’s adding a 50% markup. So if you’re buying an antenna for $12 then it’s possible that antenna cost about 50 cents to make. How can you make a good antenna for 50 cents? There are a lot of brand names out there that I call “zombie brands.” These are the brands we grew up with, but the companies are gone. The names were sold decades ago to overseas operations that don’t owe anything to the original manufacturer. You might see a Zenith, Emerson, or Acoustic Research antenna and think it’s a quality piece, but those names don’t mean anything. Even a brand like RCA can be tough to trust. Some RCA products are great, but the name has been licensed to a bunch of different companies with different quality levels. Don’t trust in a name you haven’t seen in a while, unless you know an expert who can vouch for it. Personally I think the best choice for a starter antenna is our HD-Blade. You get a very well built antenna that’s small and practically invisible, for a really low price. It’s our brand, and that means no middlemen. You get an antenna that’s really worth more than you think. I’ve tested these antennas several times over the years and I’ve always been impressed by their performance. They sometimes do as well as larger outdoor antennas, and sometimes they perform just a little bit worse. It’s hard to know how an HD-Blade will perform in your house, but it’s going to be the best compact antenna of the bunch in most cases. If you’re looking for an easy way to get into cord-cutting at the lowest possible price, this is the antenna you want to try first. A TV antenna for sports?